Being a woman is all about being and feeling beautiful. This is why we wear makeup and frequent the salon. It’s why we dress up when we go out each day (be it for work, a lunch with the girls or a night on the town). It’s why we go to dentist and brush our teeth daily. It’s why we even look in the mirror. 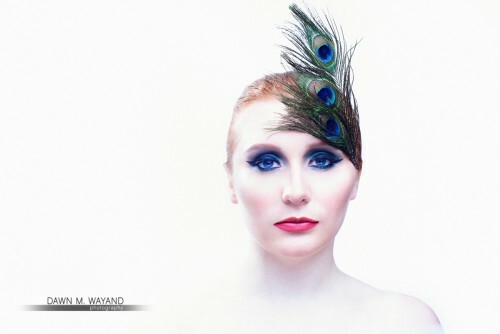 Come take a load of stress off and treat yourself to a real beauty session with Dawn M. Wayand Photography. We will take care of your hair and makeup and photograph you looking your absolute best. We will start with your natural beauty, making you up to emphasize and capture your natural, beautiful self. Then if you choose the option, we’ll dive in and create a more dramatic side of you through the use of color, diamonds and feathers and more. Ten (6) retouched prints* from the shoot. Join us for a light and beautiful, playful and fun photo session. We will give you treasures of beauty and fun to take with you for a lifetime! * Additional images may be retouched and provided at an additional charge.